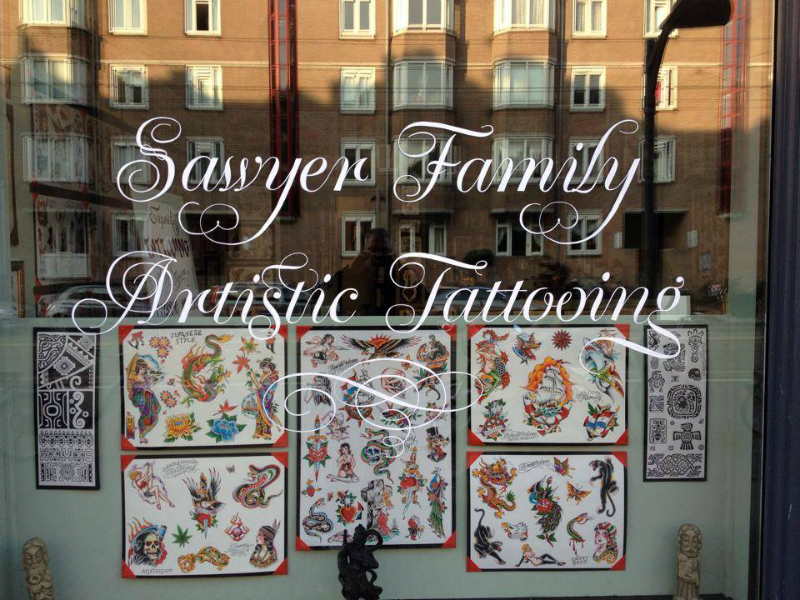 This was a great project I recently finished: hand lettering the front window for the Sawyer Family Artistic Tattooing shop, in the traditional Amsterdam script style. That particular day the sun was burning and made the paint feel like glue, but the result was wonderful as you can see in the wonderful one minute time-lapse video which was made by Polina Gladkova. Both customer and hand painter were quite satisfied. 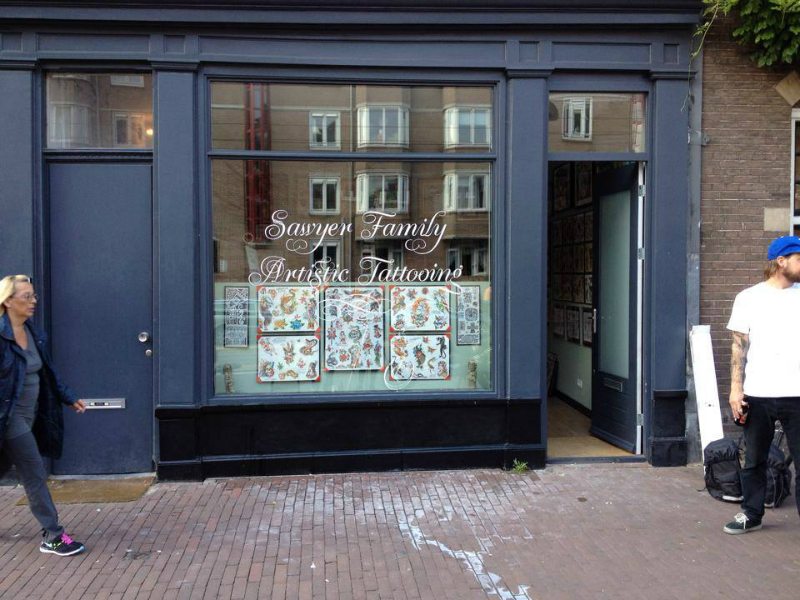 You want your shop window to be painted in the Amsterdam script style as well? Do contact me for information.